This Holiday season, we wanted to see your BEST holiday artwork! And as usual, our patient's did not disappoint! Congrats our winner Kayla who won a $150 Visa Gift Card and also gave an additional $150 to the DC Humane Society! Check out Kayla's picture and a couple of other ACD entries! Keep up with our social media for more contests! Dr Angela Giving Back This Holiday Season! We love dressing up in our office throughout the holiday season. But what Dr. Angela truly loves about the holidays is the opprotunity to give back! This year, Dr. Angela chose 1 family and 1 classroom to give gifts to! It's such a fun time giving presents to the kids and so rewarding to see the smiles on their faces! Dr. Angela's Created a Scholarship! How amazing is this? Dr. Angela created a scholarship as a tribute to her late father-Anthony Lee Austin. Mr. Austin insisted that education was not optional, but a beautiful gift we must treasure and cultivate. 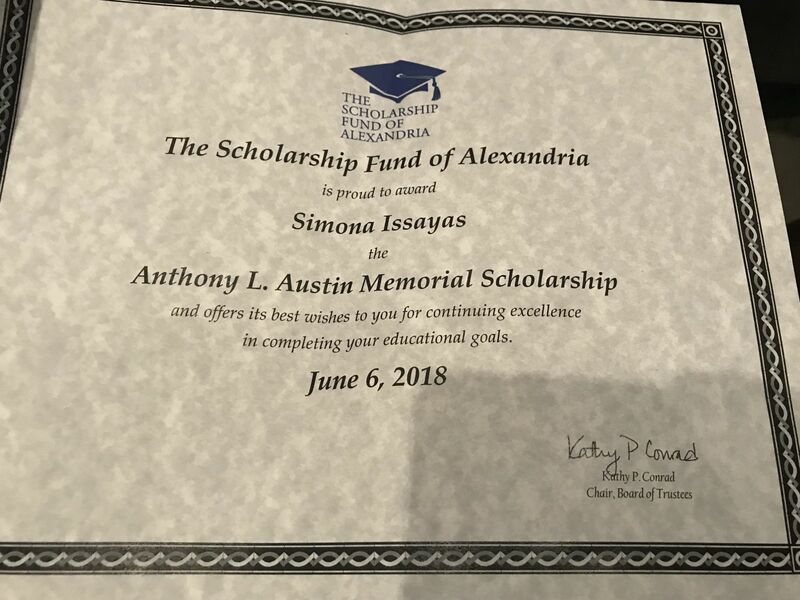 The scholarship this year was awarded to an amazing student at TC Williams High School. She will be attending Virginia Commonwealth University studying theater! SO excited that Dr. Angela was chosen to be featured on the NBC4 news! Dr. Angela talked about all things Halloween candy! Watch her interview to find out which candies are the worst for your teeth, healthy ways to enjoy candy and more! Check out her feature below! October is Breast Cancer Awareness month! 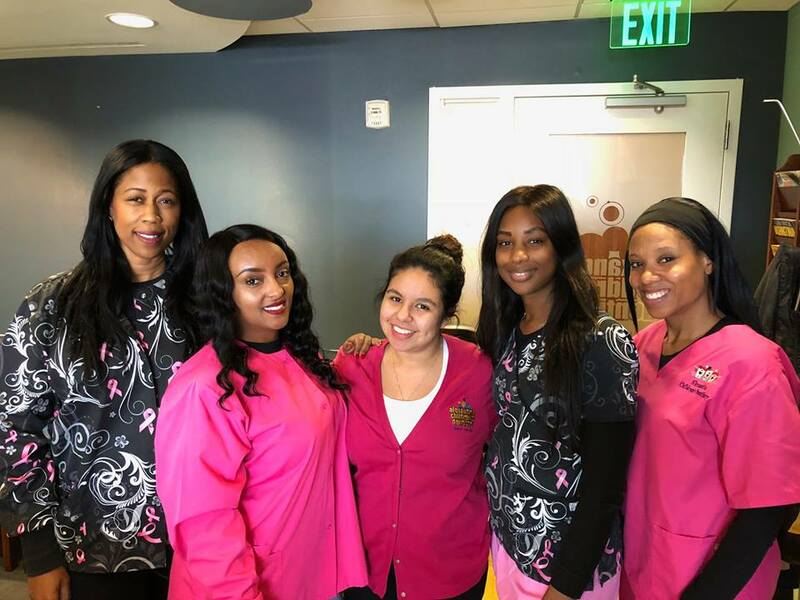 Check out our team in their pink! This year our office raised over $2000 for Autism Speaks! We were so happy to support such an amazing foundation! Thank you to all our of generous patients for helping us achieve our goal! Friday, October 5th is World Smile Day! We're fortunate to work in an office that allows us to share our smiles all day long! Other than seeing patients, giving back is the best part of our job! Dr. Angela performed dental screenings for the students at Child and Family Network Center; a wonderful non profit organization for the children of Alexandria! #TeamACD had an awesome time at at the Arlandia Eggstravanza! The event was filled with entertainment, food, music, and of course an old fashioned easter egg hunt with over 200 eggs to be found! The ACD team enjoyed chatting about the office, answering questions, and passing out goodies! 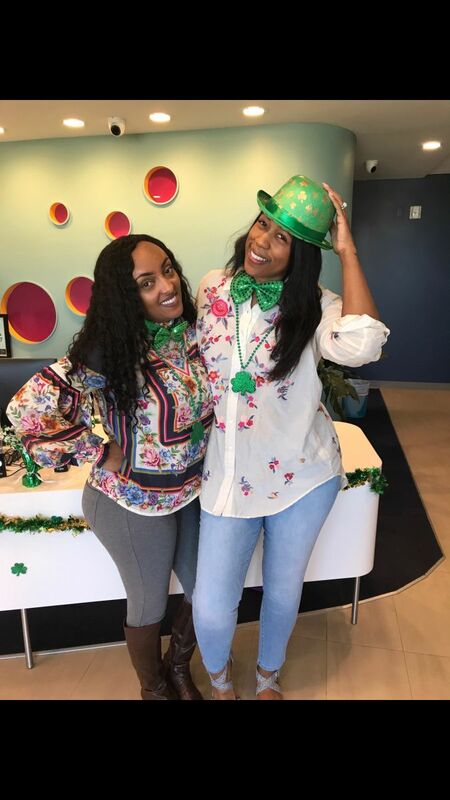 St Patrick's Day at ACD! Happy St. Patrick's Day! We hope your day was filled with lots of luck! March starts the Read Across America initiative! 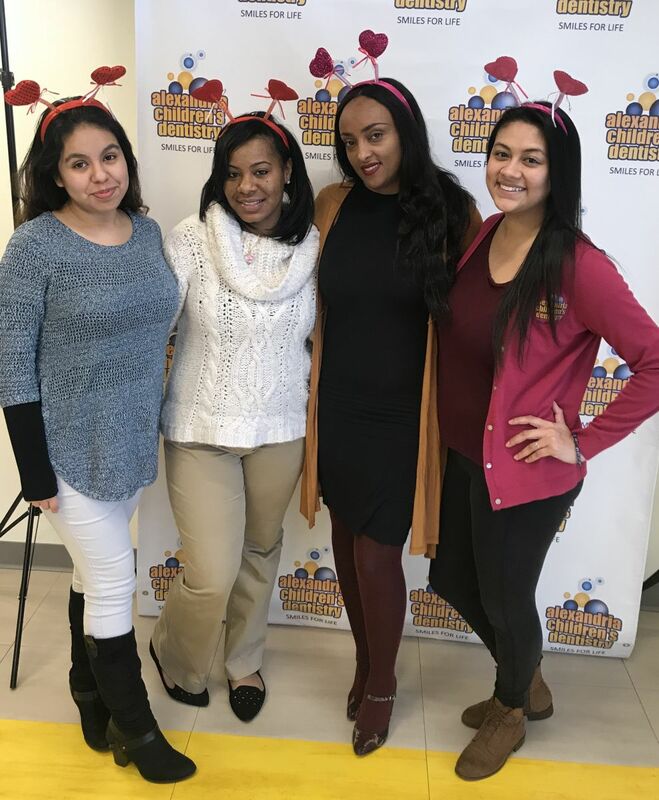 Check out some shots from our team in their Cat in the Hat wear! #TeamACD had a great time at the Cora Kelley Science Fair! Our experiment showed the effects of bad drinks vs good drinks on your teeth! We used vinegar to represent sugary drinks and sodas! The vinegar showed how acidic drinks ( drinks like soda and anything sugary) result in enamel defects! Remember--water and milk are the safest drinks for your teeth! National Children's Dental Health Month: School Talk with Dental Dr. Angela! During Children's Dental Health Month, #TeamACD does tons of school talks for kids of all ages around Alexandria! This talk was extra special as we had Dr. Angela's daughter and her daughter Sage there! Check out some photos from the talk! We hope your Valentines Day was filled with love! February is one of our favorite months becuase it's National Children's Dental Health Month! Check out some shots from us doing talks at local schools and daycares! Check out this shot from our team at Give Kids a Smile Day! This year, we served at Northern Virginia Community College. Learn more about the event below! 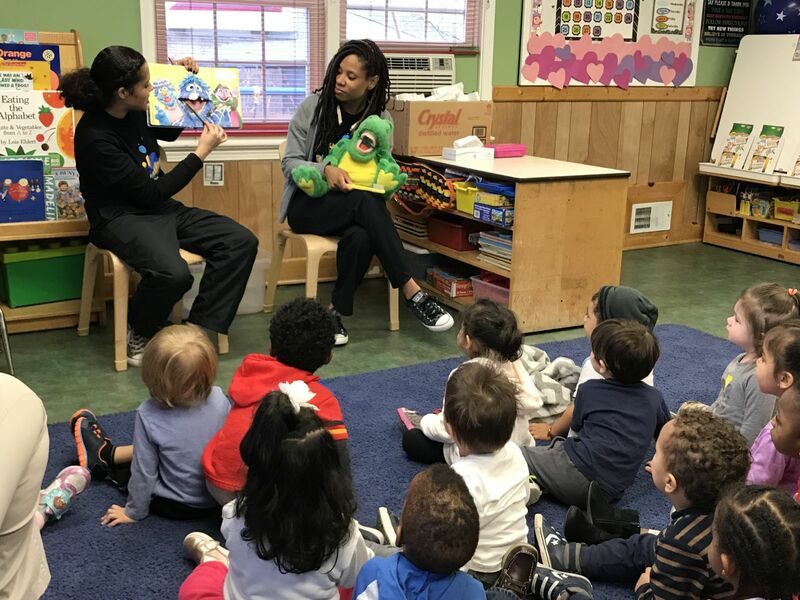 “GKAS truly helps to set the foundation for young children to have a healthy life-long dental experience,” said Give Kids A Smile Program Chairman Dr. Ashkan Ghaffari. “Each year, we treat young children who generally do not have dental care available to them. This year, approximately 100 volunteers demonstrated good hygiene practices for each child to learn. When the children walk in, we can always tell they are nervous about what to expect, but after their treated, it’s amazing to see them walk away with such huge smiles, expressing how much fun they had.